The company is specialized in bringing forth the most trusted Newsletter Printing Services in the market. 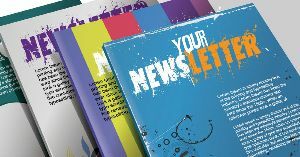 Newsletter Printing is the frequently practiced activity of a company for official correspondence. Our services of Full Color Newsletter Printing are high on demand as we print newsletters as per the needs of the clients with attractive images. Besides, we are one of the prominent providers of Cheap Newsletter Printing Services in India.